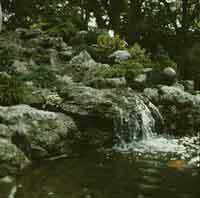 A water feature can enhance any garden with the water adding crucial, extra dimensions - movement and sound. 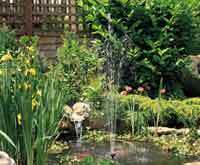 Choosing the right type of pond for your own needs is an important first step. If you have a patio, a bubbler can provide a central focal point, or for nature lovers a wildlife pond will bring into the garden an incredible variety of wetlands wildlife. 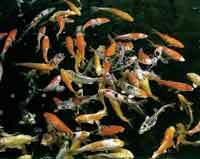 Fish keepers will appreciate the joy that a well maintained koi pond can give. Whilst there are no hard rules, ponds and water features fall into 4 categories, each category has specific needs.